Pull Into MetroWire's Parking PopUp & Transportation Event! 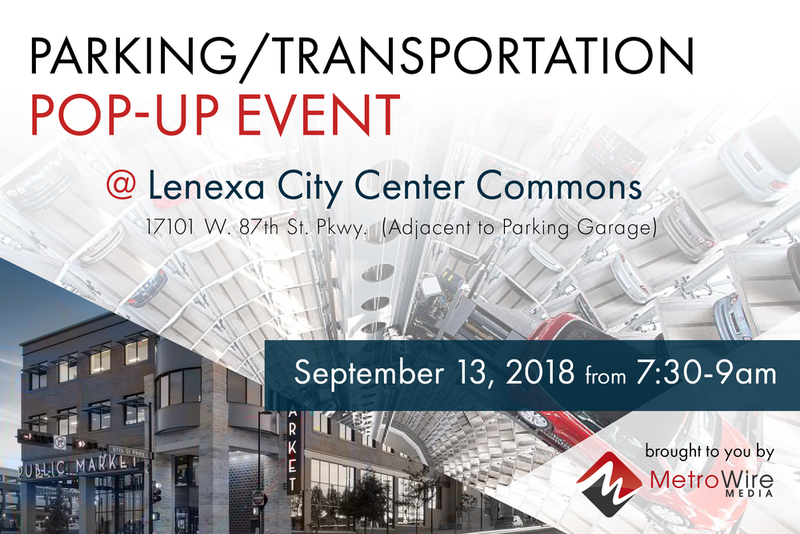 Explore Lenexa City Center, one of the region's most innovative local mixed-use developments, and learn about cutting-edge parking products & transportation services at MetroWire Media's first-ever PopUp Event from 7:30-9:30 am on Thursday, September 13. Expand your network, meet with market innovators, sample local flavors & much more!